Ride ‘Em is a hard rockin’, biker styled design that will look hot anywhere. 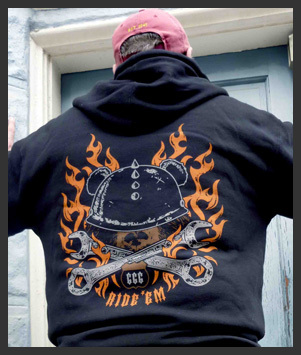 The large back design is a helmeted bear with big crossed wrenches and wreathed in flames. 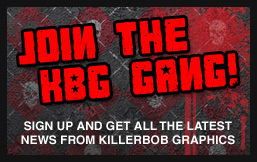 Then there’s the helmet and wrenches picked up for the left chest, a column of flames up the right sleeve and my KBG logo in the road sign on the left. Don’t think you have to ride to wear one cuz there’s lots of ways to Ride ‘Em.